Alternate Day Fasting (ADF), one way of intermittent fasting (IF), is becoming a popular mainstream approach for weight loss and health. I’m here to spread the word on this revolutionary weight loss method, which is scientific and realistic. If you ever want to check out the benefits of intermittent fasting, click here. If you practice ADF, your benefits list will be similar or even longer. Apart from weight loss, there are more health benefits of alternate day fasting described in this article from the Dailymail. It involves a 'feeding day', where there are no restrictions, followed by a fasting day where only water is consumed. Many call it every other day diet (EODD). 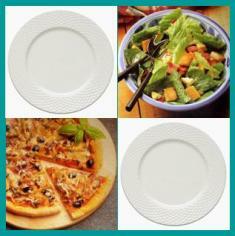 This way of short term fasting is applying a similar approach to intermittent fasting however in a more regular manner. Eat as much as you like on the feeding day and drink water only for the fast day. Tea, decaf and other low calorie drinks or fruit juices are also acceptable. How Does Alternate Day Fasting Help Losing Weight? What Are the Foods You Can Eat to Lose Weight? ADF is the practice of abstaining from all but water for a period of 24 hours to help with the goals associated with fat loss and weight loss in general. By practicing ADF, you are effectively cutting out 50% of the caloric intake from your normal consumption. During a 24-hour fast, excess fat and extra calories stored in the fat cells are used by our body as fuel resulting in weight loss. If you eat more food than you burn off then you will store fat and gain weight. If you eat less food than you burn off you will lose fat and lose weight. That’s it. So if I ask you to list the top 10 foods you can eat to lose weight, you can simply list any foods you love to eat! But please make sure no junk foods. Eating healthy food is always a golden rule. In a study at Louisiana State University, researchers examined the effects of alternate day fasting on overweight people with asthma. After eight weeks, they had lost 8% of their weight, asthma symptoms had improved significantly and bad cholesterol levels were down. If you have ever tried other traditional dieting without success, alternate day fasting could be your best choice. People achieve different results at various speed, but it is for sure that you will see a slimmer you in the months to come. Check out the book The QOD Diet: Eating Well Every Other Day for more information. 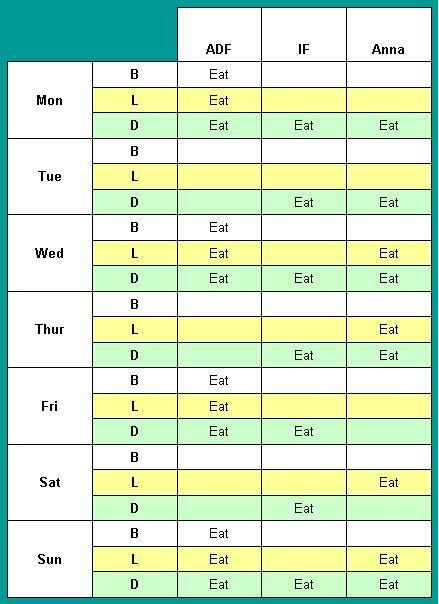 How to do Alternate Day Fasting? There is no standard rule of doing it. You need to try it out and make it work for you. Basically, you can eat anything, healthy foods of course, on the eat day and fast on the next day. Some suggest pure water on the fast day, some would involve tea, juice or decaf drink while some even include a light meal. After all, the big picture is to eat every other day. This will involve a 24-hour water fasting or juice fasting. If you are new to this practice, check out my guidelines for juice fasting and water fasting. I am on IF one meal per day most of the time. Actually I did try alternate day fasting in my four years of fasting history. After all, I love the flexibility of IF and stick to it. In fact, the choice between IF and ADF is a matter of personal preference. One thing in common is that both call for dedication/willpower at the beginning and persistency in the long haul. My advice is to start slow and let your body get use to your new eating habit. Once you make fasting your lifestyle, it will become as natural as breathing, you just don't want to give up. By then you are going to enjoy eating freely without gaining extra weight. From my personal experience, here are some suggestions if you are serious about making ADF work for you. Willpower and persistency - we are not talking about a 2-week weight loss plan. If you are serious about losing weight and never want to gain them back, you would need to permanently change the way you eat. Yes, I’m serious. So think before you start. If you are not committed to your weight loss and long term health goal, don’t waste your time and effort. However you may fall in love with your new eating habit and don't want to give up, such as in my case with IF. Some people may take longer to make this happen. This does work like miracle and happen to most fasters. Be patient. If you are dedicated to your goal, you can make it. Set long term target - healthy eating is a way of life - not a 2-week plan. If you tend to shed some pounds and return to fad diet, don't waste effort in doing ADF. An appropriate mindset - never associate fasting with starvation. A 24-hour fast is more than likely doable by any normal adult even without supervision. Be realistic - take your time to let your body burn fat. You won't gain weight overnight. Similarly you won't get rid of them quickly. It takes a deficit of 3,500 calories to lose a pound and it takes time. Be open-minded - don’t assume you are fatigued and dreadfully hungry after a day's fasting. If you think that you are going to be hungry, you are. So, don’t think of it. Just observe your body's response fairly as those negative feelings could be more a psychological effect than physical. Eat normal amount of food - never assume you should store surplus for your next day's fast. The concept of ADF is to allow time for the body to burn off excess fat. Make exercise a habit - I don't mean vigorous aerobic exercises. However some simple calisthenics can be a catalyst to your fat burning process. I have gained tremendous benefits from doing daily morning calisthenics. If you could add some other ad hoc workouts whenever suits your schedule, you are definitely on the right track towards a long term weight loss and health goal. Seek Support – you are down the road doing something permanently, you do need support. The best support is from people with similar experience. create your fasting profile in my website and members of my site will share experiences. How to Choose between Alternate Day Fasting and Flexible Intermittent Fasting? Try it out. This is the best way to make fasting work for you. Be your own controller. I have a simple illustration here comparing the typical ADF and IF and my actual IF record in just any week. You may try out each of the fasting methods and see which suits you best. Anna’s actual IF week: I just pick any week in my diary which records three sessions of 24-hour fasting, two of 16-hours and one of 40-hours. My eating pattern was purely on an unplanned basis. Provided I am keeping two to three 24-hour fasting windows in a week, I’m free to eat my favourite foods without having to worry about calories or gaining extra weight. In terms of weight loss, both IF and ADF works fine for me. I love to do IF in a flexible way for two reasons. First, I do want to eat something everyday. Hence one meal a day suits me best. Second, eating two or even three meals in a day is just too heavy for me. And this has discouraged me from continuing with ADF. However ADF does have an advantage of being simple. Once you make it a habit, you just don’t want to change. I have the experience of making IF my habit, I think ADFers are just feeling the same. If you are kind of a discipline person, this is a perfect lifestyle for you. I must reiterate that fasting is result guaranteed in terms of weight loss - no matter how and how often you do it. However if you have a weight loss target, it is better to set up a plan in advance. I come across some blogs in which the authors did great jobs in recording their ADF progress such as this one. If you feel doing a blog is a hassle, simply create your fasting profile here and have our support.